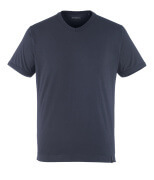 Are you looking for comfortable T-shirts that can be used all year round? Then MASCOT can help you. 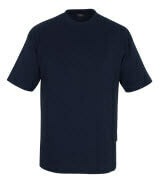 MASCOT offers a complete range of short sleeved T-shirts, which are practical in many contexts. 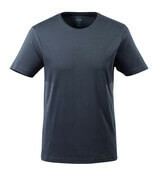 For the warm days at work, the short sleeved T-shirts are suitable to wear as they are. 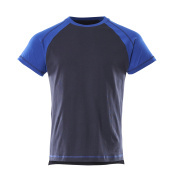 On cooler working days, you can benefit from using the short sleeved t-shirts as the inner layer under, for example, a jumper or a fleece jacket. 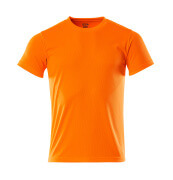 MASCOT carries a wide selection of short sleeved T-shirts in different colours. 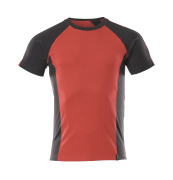 You will find both single coloured and two-toned T-shirts as well as T-shirts with fashionable print. The selection of short sleeved T-shirts gives you plenty of opportunities to mix and match with MASCOT’s additional workwear. 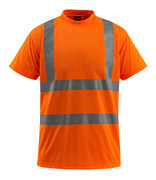 If your work requires extra visibility and safety, you can also find T-shirts in fluorescent colours. 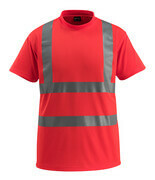 On the MASCOT T-shirts, there is space for print or embroidery of your company name and logo. 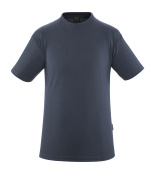 The short sleeved T-shirts from MASCOT are available in different fits, including modern, classic and ladies fit so that everyone can find a style that fits perfectly. 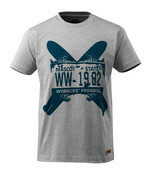 The T-shirts are available with a round neck or a V-neck so you can choose the variant you prefer. The styles are manufactured in various materials so you can choose the one that provides you with the best comfort in relation to weather and temperatures. 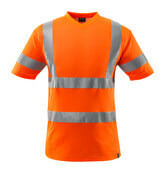 In MASCOT® ADVANCED, you get, among other things, a moisture wicking T-shirt, which keeps you dry throughout the working day, despite the high level of activity. 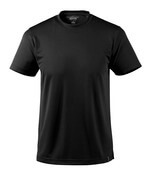 You can also choose a T-shirt that is produced in 100% cotton, which is moisture absorbing and comfortable to wear against your skin. In addition, several of the short sleeved T-shirts have extra padding over the stitching at the neck so the seams won’t bother.